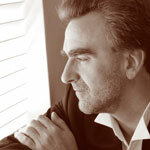 With a long list of critically acclaimed performances and recordings, Jonathan Plowright has been described as ‘one of the finest living pianists’ by Gramophone magazine. Gold Medallist at the Royal Academy of Music, Peabody Conservatory Concours winner and a Fulbright Scholar, Plowright was a prizewinner in many competitions, including first prizewinner of the Baltimore Symphony Orchestra Awards and the European Piano Competition. Since then, he has performed in many of the finest concert halls around the world, with many world class orchestras, ensembles and conductors and given numerous radio broadcasts. Plowright’s many successful recordings have won such accolades as Preis der Deutschen Schallplattenkritik, Gramophone Editor’s Choice, BBC Music Magazine Choice, Diapason d’Or, Fono Forum Tipp, ICMA 2017 nomination, and CD of the Week on Classic FM, ABC Classic FM, in the Daily Telegraph and Sunday Times. The four previous discs in this series are no exception, his performances being compared to the great Brahms interpreters of all time, and all earning ‘Editor’s Choices’ and 5-star reviews in international publications, with Volume 3 shortlisted for a 2016 Gramophone Award. Elected a Fellow of the Royal Academy of Music in 2013, Jonathan Plowright serves on competition juries, gives masterclasses, and is on the Keyboard Faculty of the Royal Conservatoire of Scotland. For further information, please visit Jonathan Plowright's website.